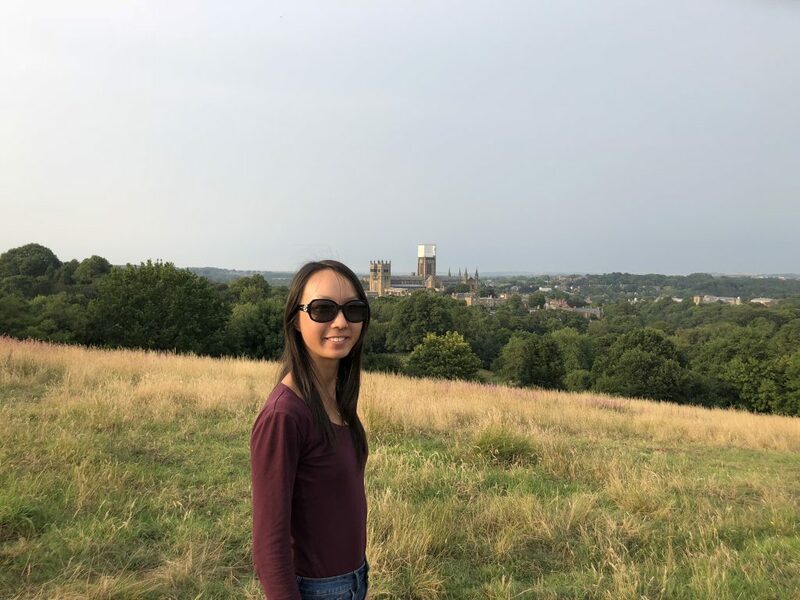 This article was written by Ming Luo, an Undergraduate student at the University of Western Australia, who spent her summer in Durham University as part of the Global Citizens Fellowship. What does it mean to be a good citizen? Everyone has their own take on what it means to be a good citizen, but it generally involves elements of being respectful to your neighbours, contributing to your community and being a law-abiding and reasonably pleasant member of your society as a whole. But what does it mean to be a good global citizen? Is it merely the same concept but extended out to the global community? How do you contribute to citizenship globally? I’m an undergraduate student from the land down under, and I have ventured here to the great Kingdom on a quest to explore the concept of global citizenship. The phrase has been thrown at me a few times, and now I am curious to find out what these warm fluffy words actually entail. Travelling to a place you have never been to before can be a challenge. Travelling alone to such a place can also be slightly daunting. Travelling alone, with compromised vision, can again add another interesting layer. So just along the journey of getting to and settling into Ustinov College, I have been extremely appreciative of those who have reached out a hand and a smile. Goodness knows where I’d have ended up without them, or how much hair I would’ve had left on my head before I arrived. From this, I am starting to feel that, to me, global citizens are ones who really make the world one big community. They are those who show respect and inclusion to all, regardless of background, and help to make any place in the world feel as welcoming as one’s own home. Inclusion has always been a strong value of mine, and I am now starting to appreciate more the value of being able to feel accepted and included, not just in your own community, but wherever you go in the world. So today, I set out to St John’s to see what I can contribute as a global citizen. As a person living with a vision-impairment, I am particularly passionate about accessibility and the integration of people with disabilities into communities. I feel that this would also be an important part of global citizenship, and hence am eager to check out what St John’s College has to offer. I have conducted experiential accessibility audits as part of the youth disability advocacy organisation that I am a member of back home, and St John’s has so kindly (and bravely) offered up their facilities for my scrutiny. I arrive at the college, and am greeted by a row of beautiful Georgian structures. Though thee seem to be separate structures to the regular street-walker, the buildings have all been amalgamated into one interiorly, creating a college that is a quirky maze of steps, small windy corridors and half doors. Though this fills the college with a sense of mystery and history, it probably also fills it with many accessibility complaints. As disability awareness is quite a relatively recent concept, it is no surprise that accessibility was not an aspect that the Georgians considered in their buildings. This unfortunately means that it is practically impossible to make the entire college physically accessible without flattening and re-building the entire thing. However, St John’s has quite an inclusive and egalitarian culture, and has already taken initiatives to work around the restrictions of the physical environment to ensure that people with physical disabilities can be accommodated in the college. I was particularly impressed with the accessible rooms, which were adequately spacious and included a device that would make the bed vibrate if the alarm system went off. Though there may not be much more St John’s can do to improve the ease of access for wheelchair users, there are little things that can be put in place to increase the accessibility of the college for people with other disabilities. For instance, contrast markings for stairs and tactile indicators could probably save quite a few vision-impaired or blind people from face planting down the stairs. Simple English and pictorial signs could be put in place, which could benefit those who have difficulties with reading. Dedicated quiet spaces could also be set out to provide breakout spaces for people that may suffer from sensory overload or anxiety. The fact about putting in place such adjustments that many people often overlook or under weigh is that they not only benefit people with disabilities, but can also be useful for a variety of demographics, including the older population, children, or the wider population in general. However, perhaps the most important element to access and inclusion are open, friendly and understanding attitudes, and this is a major asset at St John’s. All the staff members I have come across today are warm and eager to help. A negative attitude is the most difficult barrier to knock down, and St John’s is already one big step ahead of many, with their open-minded and open-armed approach to accessibility. It is just past the 2-week mark here in Durham, and the sun has not stopped shining. They call it a freak heatwave, but I call it the photogenic weather. I have loved every single minute of it here so far, diving into the life and culture here in the UK in my quest to explore global citizenship. I have settled well into the college and my work placement at the university, where I am currently researching initiatives that recruiters here have taken to enhance the diversity and inclusivity of their workforce. I also had the pleasure of meeting and feasting with all the GCP scholars last week at their annual barbecue, where I met many friendly faces, and got to stick my own in some expertly charcoal-grilled delectable. I have also been taking every opportunity to explore this culturally and historically rich island. 2-3 hours gets you to the middle of nowhere in Australia; but here, it can get you to Scotland and to the nation’s capital. I visited and fell in love with beautiful Edinburgh over my first weekend here, losing myself in amongst the towering ancient buildings, the fascinating history and culture, the sweeping lowland landscapes – and, of course, the bagpipe music and haggis. I spent 4 days over the last weekend exploring the sights and sounds of London, a dramatically different city. It took a bit longer, but the chaotic mesh of old and new, trains, friendly people and stories that is London won my affections in the end. Hitting the halfway mark in this 8-week exchange, and just starting to see some of the infamous English grey skies and rain. Not a downer though (yet), as I’m quite enjoying getting the true English experience. 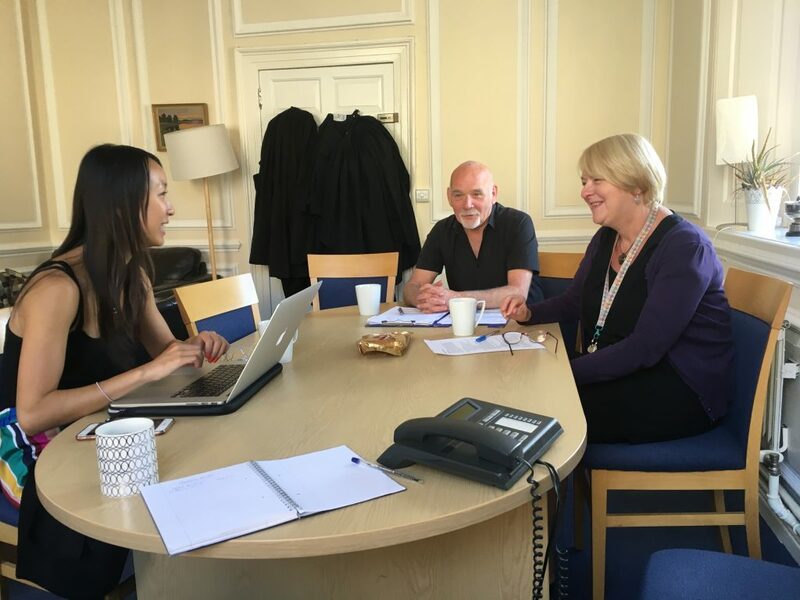 This week, I met with Andrew and Caragh from St John’s to hatch a plan for a workshop around disability awareness, which I will be hopefully delivering to an assorted audience of Durham postgrad, staff members and whoever else succumbs to the bribe of free lunch and drinks. The workshop will comprise primarily of interactive activities that will hopefully give participants a better insight into what it might be like to live with various disabilities. I have run quite a number of similar workshops back home, and am always excited to deliver them as they provide a safe space for people to learn more about disabilities and ask the questions they’ve always wanted to ask, which I feel is a highly effective tool in helping to break down the stigma around disabilities through exposure and greater mutual understanding. I’m very much looking forward to be able to put my 2 cents in global citizenship education, and seeing how the workshop turns out. Apart from that, I am continuing my own cultural education by continuing my gallivanting around the Kingdom. I got to watch a very traditionally performed Shakespeare play and ate the best fudge you will ever come across in York, and also visited Newcastle for a day last weekend. This weekend, the plan is to fly up to Dublin for a few days to explore the mystical island of Ireland, and see what all the fuss around Guinness is all about. An exchange is a place you go to give the person sitting behind the bullet-proof glass pieces of paper of some value that you possess in exchange for new and different pieces of paper of value that will be more useful to you in the time to come. You might be confused as to what I’m rambling on about, but I feel that this is a pretty good analogy for my exchange over the past 6.5 weeks. I have flown here to the beautiful Kingdom to offer what I have, and in return, have received so much more (I think I got the better end of this deal). I have now put all my two cents in, and have completed all the projects I was working on for the various departments of Durham University. I created surveys for Experience Durham to help evaluate the staff volunteering and post-graduate volunteering programs, and compiled a report on the findings of the barriers people were experiencing with these volunteering programs. I also worked with the Careers Centre, researching and writing spotlight articles on the top inclusive employers in the UK, helping to create a disability guide for the centre, and heartlessly listing out areas of improvement for the centre’s diversity and equity website. Last week, I delivered an interactive workshop around disability awareness to an unexpectedly large audience of 25 staff members and students, which received much positive feedback. In return, I have received way more than 2 cents back from Durham. I have learnt quite a bit about the UK and its culture through my work and research, and through the 3-hour office chats with my fellow colleagues. I have gained much valuable work experience, grown my work skills and built my confidence in them. I’ve also been taught the love of cheese and crackers, and now always appreciate a cup of tea with good English biscuits. Not only that, I’ve also learnt so many interesting things about countries all over the world through all the whacky people I’ve met at Ustinov college. It has been amazing being able to meet and talk to people from places I would never have imagined being able to meet. And lastly, I have collected so many unforgettable experiences through my weekend gallivants around the Kingdom and Ireland. However, after all these weeks, I still cannot compose a definitive definition for global citizenship. Every person I ask seems to provide me with something different and new to consider in regards to the concept. However, I feel that my time here in Durham has reinforced my initial thoughts on the matter; and to me, global citizenship is very much about being included and accepted wherever you are around the world. Everyone that I have met here in Durham, as well as everyone that I have come across during my travels, have made me feel so welcome and at ease, wherever I was. In the highly globalised world we live in today, the world can be as easily one’s home as their own town. This is what I really like to see, and I feel that global citizens are those who drive this and help make the world feel like one (all be it incredibly massive) global community. Sadly, there seems to be a rule dictating that all good things must come to an end; and so concludes my time here in Durham. I become attached to places and people quite easily; and the friendliness of everyone I’ve worked with and met here, the (unusually) sunny fields and fairy-tale-like woodlands that surround these cobblestone streets and old stone buildings, and the amazing accents make it absolutely heart-breaking to have to leave. I will now be embarking on a 3-week exploration of more of the UK and Europe before returning back to Australia. Though I will be soon gone, I promise that there will always be part of me here in beautiful Durham.